If you are looking for a healthy 20 minute dinner recipes, grab this one and don’t hesitate. 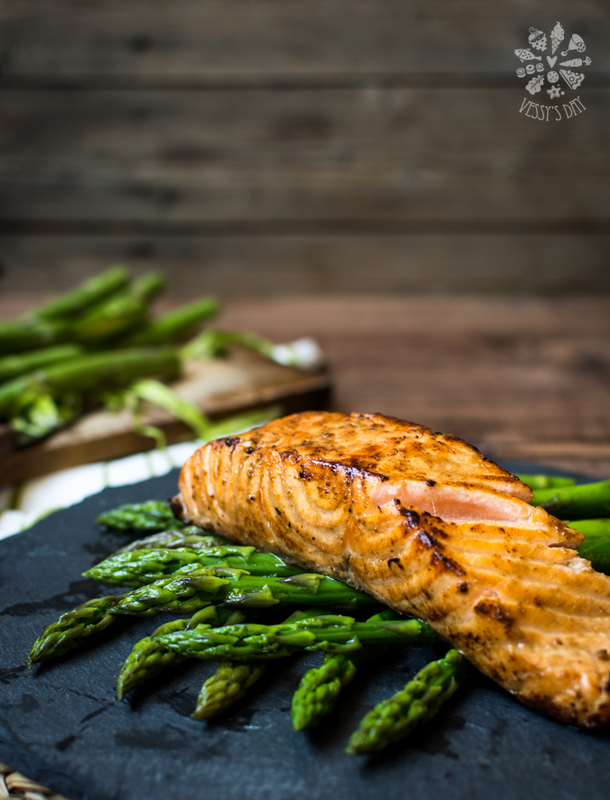 This pan seared salmon is not only healthy but absolutely delicious and super quick to prepare! In a small bowl mix all ingredients for the marinade – add 1 whole sprig of thyme, don’t chop it. Pour the marinade over the salmon fillet and let it sit for about 20 minutes. 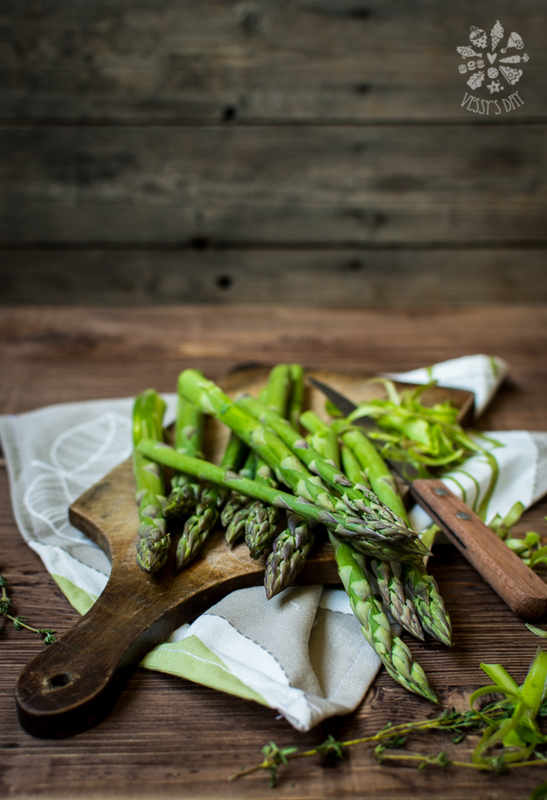 In the meantime cook asparagus in a preheated skillet, in the melted butter with olive oil, for about 2 minutes until slightly golden brown on edges (don’t overcook). Season with salt and pepper and keep warm. Remove salmon fillet from the marinade, discard the thyme. Heat 2-3 table spoons of olive oil in the same skillet. Add the salmon fillet (don’t pour the remaining marinade in the skillet, only the salmon) with the skin side down. Cook on each side for a few minutes. Salmon is very tender so please don’t turn it around in the pan too much. NOTE: you can cook salmon differently, depending on how you like it cooked – medium, rare or well done. 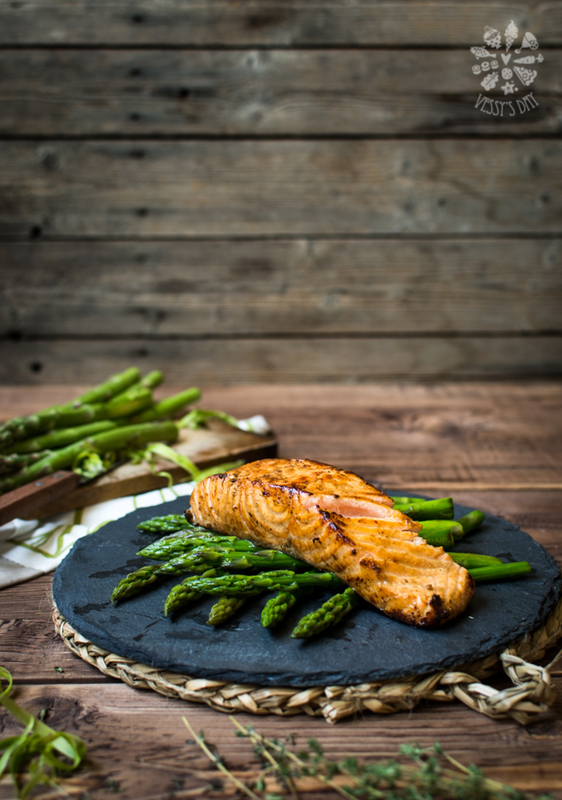 If you prefer your salmon well done, then you have to cook it a bit longer on medium heat. This way it will slowly cook on the inside and gently brown on the outside. If you prefer it medium or rare, you can turn up the heat a bit and you will get a crispy outside quickly and the inside will be a bit rawish. So, keep in mind that high heat will result in quickly browned fish, but on the inside it will be still raw. I just love quick and easy salmon dishes like this one. Looks fabulous!